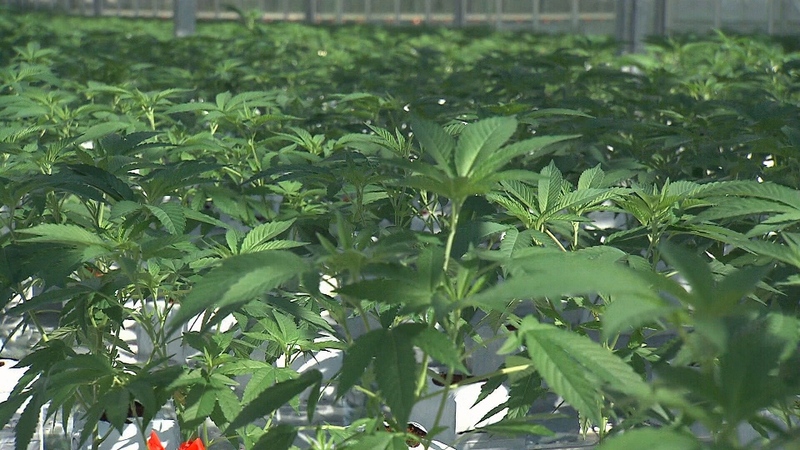 Staff at Oak Bay’s Garden Works store say they’re fielding an increasing number of questions from customers wanting to know how to grow cannabis plants, ever since recreational pot was legalized this fall. Patricia Bryant works at the gardening store and has noticed something about the demographic of those customers. “Lately I've been getting a lot of older people asking,” Bryant said. And those queries about marijuana have become less cryptic than before bud was legalized. “For many, many years people have been coming in, funnily enough inquiring about growing tomatoes," Bryant added. Tomatoes, she says were actually code for a fictional vegetable. “You know they're actually talking about growing cannabis," Bryant added. Suzanne McKnight also works at the store. She too has noticed a wide range of folks in Oak Bay who want to try their green thumb at the once illegal plant. “From young to old. Male, female. I would never have guessed from looking at these people that they would be coming in asking these questions," McKnight said. Cannabis laws allow people in British Columbia to grow up to four plants per household, as long as a landlord or strata allow it, and the plants aren’t visible to the public. Travis Lane teaches an online course at Camosun on how to grow marijuana. He says the stigma surrounding cannabis – including growing it – is being removed through education. “If you can demystify how it’s produced, then people start to realize that it's just an annual plant. Then suddenly a lot of the other risk factors start to fall away," he said. While the supply of legal seeds remains low, Bryant says it doesn’t take much of a green thumb to grow the plant. Staff at a gardening store say more and more customers are coming in to ask about growing cannabis plants.